BACKGROUND: Medically hospitalized patients who lack decisional capacity may request, demand, or attempt to leave the hospital despite grave risk to themselves. This common scenario has caused physicians to struggle to determine the best way to safeguard such patients. In many jurisdictions there are no laws that address this matter directly. As such, CL Psychiatrists are often called upon to issue an involuntary psychiatric hold to keep the patient from leaving. However, doing so generally runs afoul of the law, as civil commitment statutes were not intended for, and do not address, the needs of the medically ill patient who does not have a psychiatric illness. • Debate the complex ethical, legal, and risk elements related to medically incapacitated patients who attempt to leave the hospital despite the potential for serious harm. • Evaluate options for responding in such clinical scenarios; including policies that establish a Medical Incapacity Hold and the potential applicability to the attendees’ own institution. Click here to download and print a copy of this presentation. 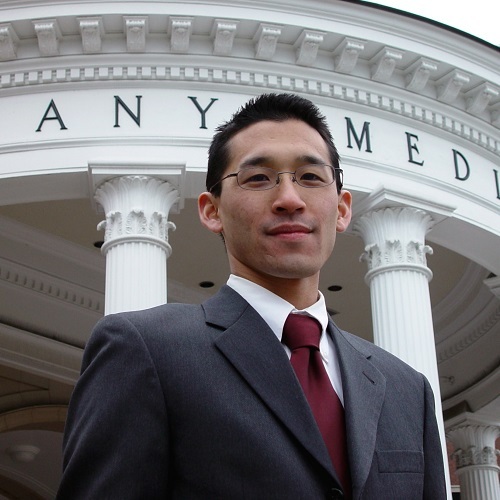 Dr. Cheung received his medical degree in 2007 from Albany Medical College with a distinction in biomedical ethics. Dr. Cheung completed his adult psychiatry residency at UCLA, where he served as chief resident in 2010. He is Assistant Professor of Health Sciences at the UCLA David Geffen School of Medicine, Medical Director of the UCLA Psychiatric Emergency Services, and Chief Quality Officer of the UCLA Resnick Neuropsychiatric Hospital (RNPH). He was recently appointed to Associate Medical Director of UCLA RNPH in 2018. Dr. Cheung has extensive involvement in both his professional society and public service, including currently serves as President Elect of the Southern California Psychiatric Society, and Chair of the Los Angeles County Emergency Medical Services Commission. In recent years, he has also chaired the EMS Commissions’ task force on the pre-hospital care of mental health and substance abuse emergencies. His scholarly interests naturally include emergency psychiatry, ethics and neuroethics, and quality improvement in mental health. Dr. Cheung has received several awards and distinctions across his career, including the Residents’ Award from the American Association for Emergency Psychiatry in 2011 and the Presidential Award from the Southern California Psychiatric Society in 2010.